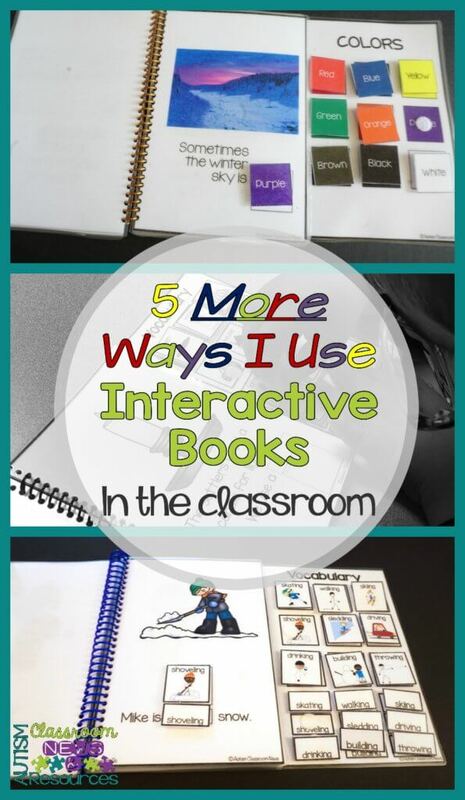 Today I’m back with 5 MORE ways to use interactive books in the classroom. If you didn’t catch it, you can read my earlier post on the first 5 ways I use them here. 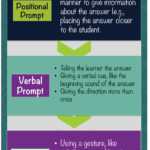 I’m sure there are more ways that they can be used, but these are the primary ways I’ve used them in classrooms. I would love to hear from you about how you use them. 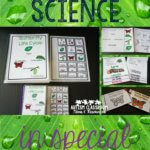 Interactive books are so versatile for students with special needs. Once students are familiar with the books, they are designed so that students can complete the books on their own and “read” the books even if they are nonreaders. They can practice matching pictures to pictures. For instance, students can read this color book and match the color visuals to the pictures whether they can read the text or not. If the student has difficulty matching colors to the pictures, have him or her do it backwards. 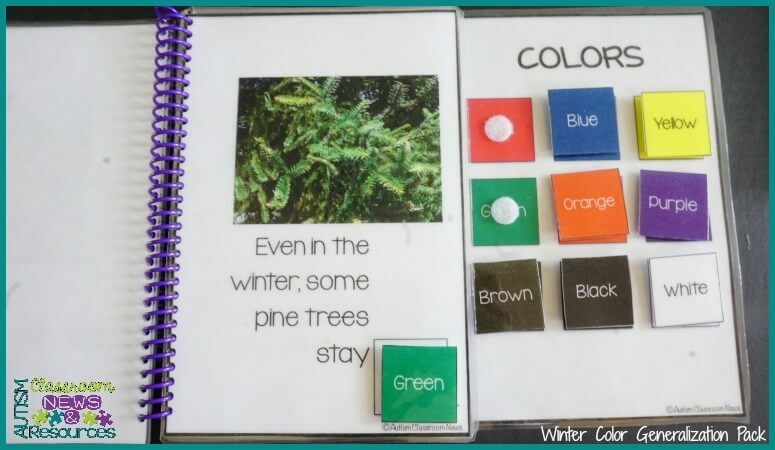 Leave the visuals in the book and have the student match the color squares to the color squares on the page holder. Click to see the product this comes from. I’ve used interactive books as a social activity with peers. 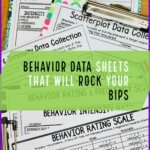 Whether in general education or a special education classroom, interactive books are a great turn-taking activity between peers. If both students are readers, they can take turns reading the pages and finding the pictures. If one student is a reader and one is not, then the reader can read the book aloud and the student who doesn’t read can find the picture (or word) for the page. 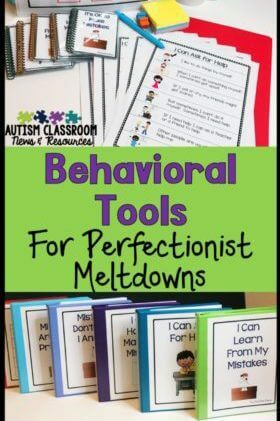 I love to use interactive books as a way to include students with special needs in group time. 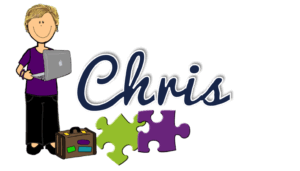 You might remember that I talked about using materials that involve interaction as a way to increase engagement in group activities. Interactive books, like the one below with words and pictures, can easily be used in younger grades to differentiate for students who are readers (they find the word) and those who are working on understanding of the text (they find the picture). They also make the group time more interactive so the students are more likely to stay on task. I like using interactive books as a way to enhance literacy efforts across the board. These are books that students often get excited about because they can understand them and read them on their own. I have many folks tell me that the kids are really excited when the teacher pulls the books out, which means that we are getting them excited about reading. In addition, I always want to have a book that has a clear title page with an author so the students begin to be able to identify the cover of the book, the title and the author. They can also then begin to understand sentence structure, particularly if it’s predictable, and start to connect the pictures to the text. Click to see in my store. Interactive books are great for promoting literacy. Given that students like interactive books so much, I often find that they become something they are motivated to work for or will choose when given choice time. Given that it’s always a teacher’s dream for a kid to love to read, having a student request to read a book as their reinforcer always seems like a win in my book. Interested in seeing what makes up an interactive book, check out my preview video for my Winter Interactive Book Set below.